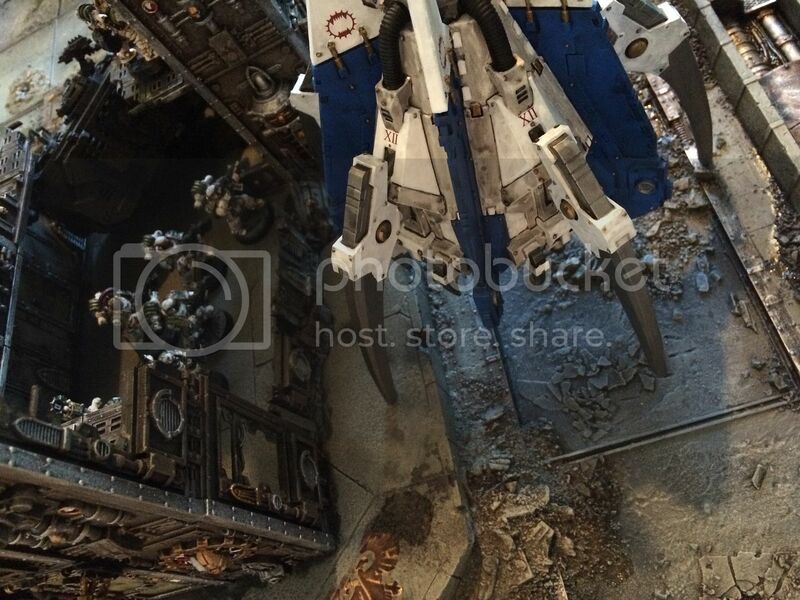 In the smoldering remains of wrecks and debris in high orbit above the Urgall Depression, Horus called a meeting of the Primarchs aboard his flagship, the Vengeful Spirit. Five of the Primarchs, including four who had fought at Istvaan V, met in person, including Horus, Fulgrim, Angron, Mortarion and Lorgar. 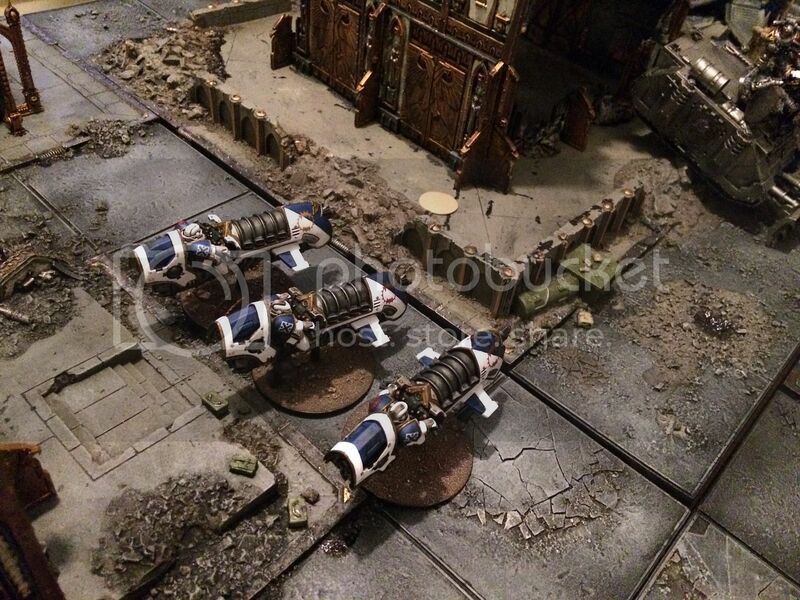 Three appeared through the use of hololithic emitters that transmitted their signals through the Warp, including Perturabo, Night Haunter and Magnus the Red, who had only recently joined the Traitors after the Scouring of Prospero when the broken remains of his XV Legion had been transported by Tzeentch into the Eye of Terror to the Planet of the Sorcerers. The Thousand Sons, bitter at what they perceived as their betrayal by the Emperor, now willingly became the eighth Traitor Legion. 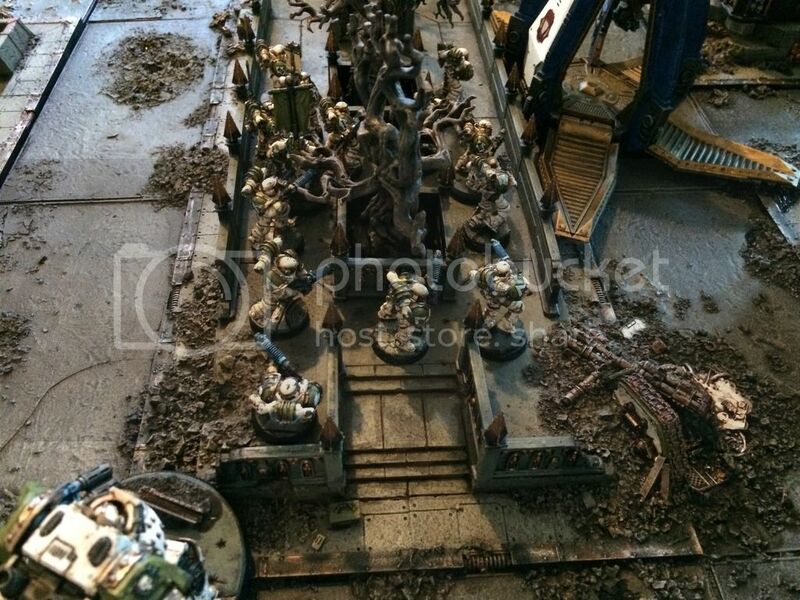 The council of Traitor Primarchs made their plans for the next step in their war against the Emperor and then each Legion went its way according to its assigned role. One of these tasks was to secure the Yaris Dock in the Lincon System. A Dark Crusade force was quickly assembled tasked with securing the Lincon System. The force composing of elements of all traitor legions as well as large contingents of auxiliary troops and War Maniples of Ordo Titanica. The Dark Crusade Fleet arrived in the Lincon System in 4392006.M31 and vox was established with Ares Hector and the Iron Warriors garrison. 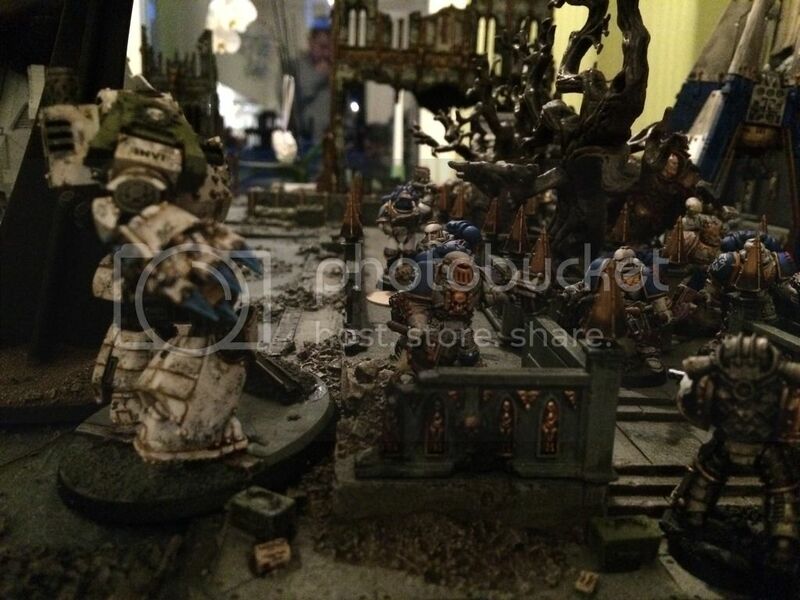 What communications that was exchanged between the two forces is lost to the tide of history, but sufficient to say is that Ares refused the offer of Dark Compliance and sided not with his Primarch but instead with the Emperor. The response from the Dark Crusade fleet was mass biochemical bombardment followed by full scale orbital assault. 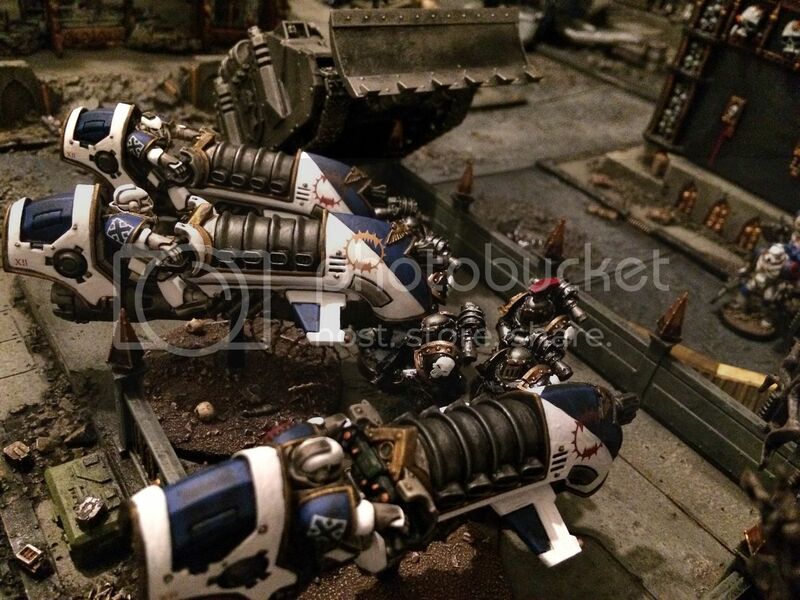 The Caestus Rams, drop pods, Stormbirds, Thunderhawks and heavy assault landers of the Dark Crusade force descending amid the meteoric fires of the orbital bombardment. 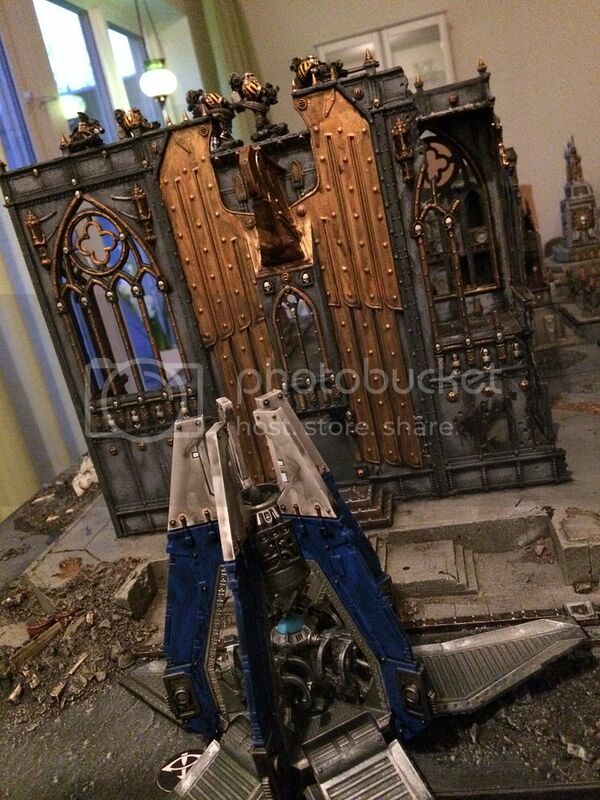 Angron roared from the belly of his gunship onto the blackened bones that littered the plazas of Nova Linconis like fallen leaves in a winter forest, his great chainaxes Gorefather and Gorechild screaming in anticipation of the slaughter to come. His challenge so issued was quickly met as storms of weapons fire licked out from the shattered city-scape to find him, but he strode through it heedless lika a monster of dark myth made flesh. 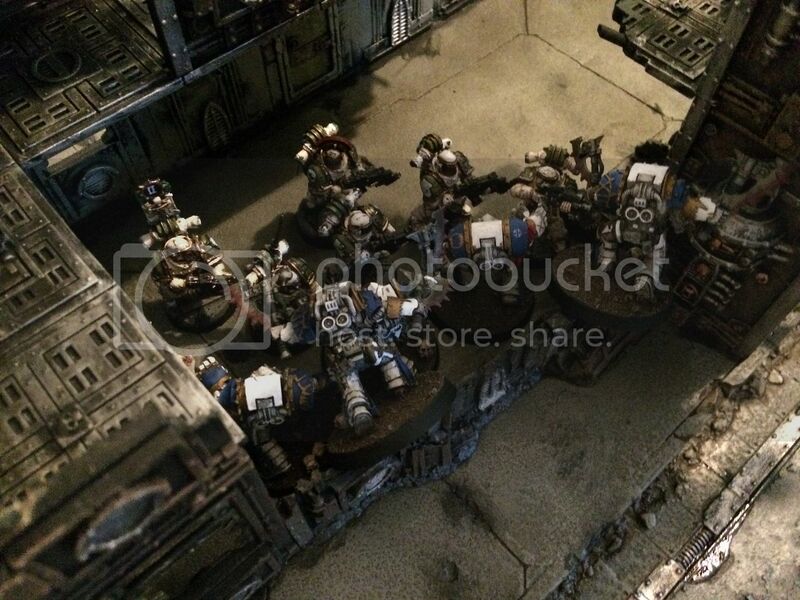 Behind him his World Eaters formed up in a great arrowhead of pale ceramite and glittering metal, eager for the slaughter to come, the forbidden rage-inducing implants dug into their brains screaming the need to kill with cruel and irresistible force. 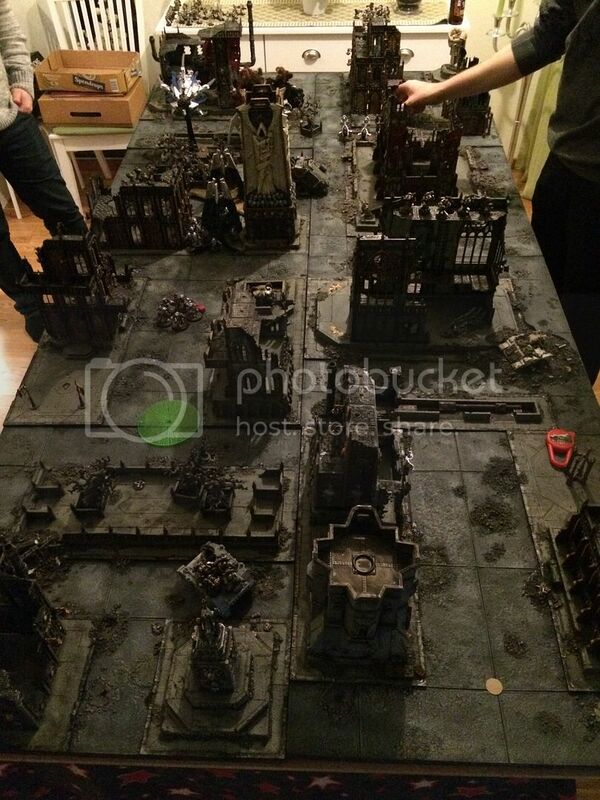 Inevitably, from the line of shattered ruins that edged the plazas, the loyalist’s defensive positions unleashed a wall of fire on the World Eater Drop Site. 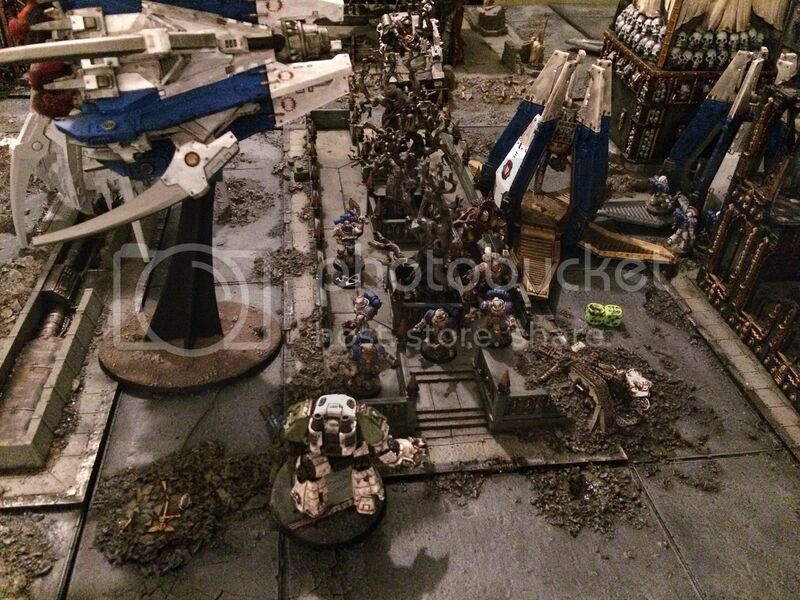 The reply from the World Eaters was a headlong charge, without tactics and without reason they charged into the loyalist lines. 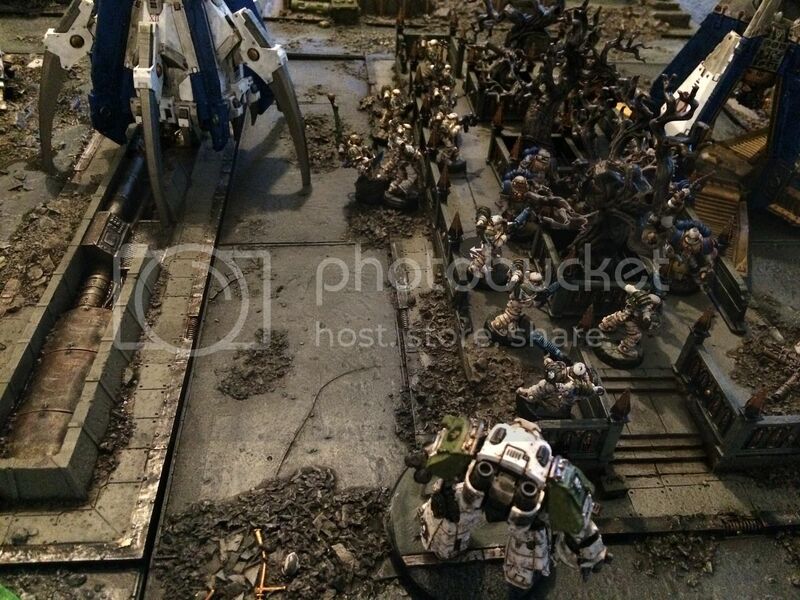 In moments the loyalist where butchered and dismembered, while a loyalist dreadnoughts exploded in the converging furnace heat of multiple melta blasts, showering shrapnel and flames across the battlines. 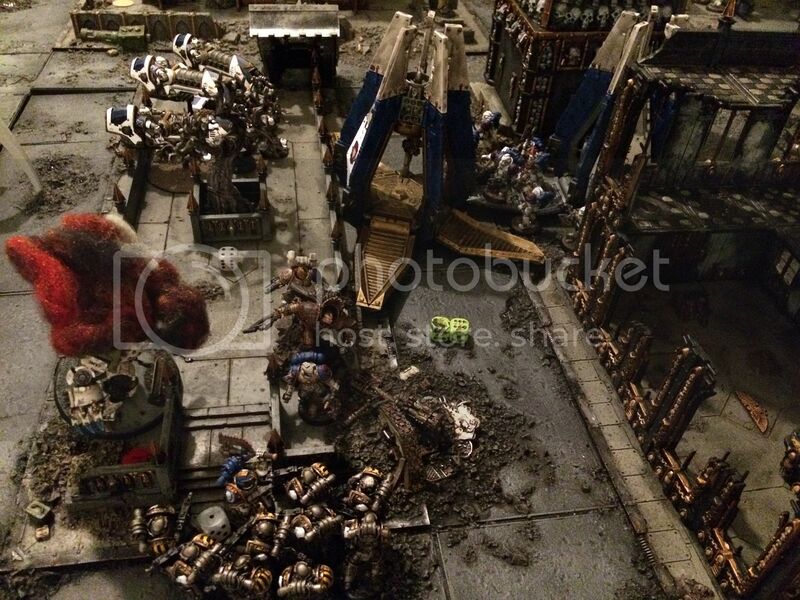 Angron was a machine made for killing, an unstoppable engine which sent torn bodies and shredded limbs tumbling away in looping arcs of crimson blood and spraying sparks of rent metal. He careered like a thunderbolt back and forth through the clashing press of armoured bodies, destroying everything that stood against him, shrugging off blade-strokes and bolt shell strikes as if they were the mere bite of insects, roaring his challenges and calling out the names of the worthy dead his axes reaped. The killing continued until there were none left to kill and the ravaged victors, their once-white armour now a gory red, stood amid a morass of shattered bodies, the filth of blood and clotted bone-ash around them like a spreading stain across the world. BLOOD FOR HORUS! 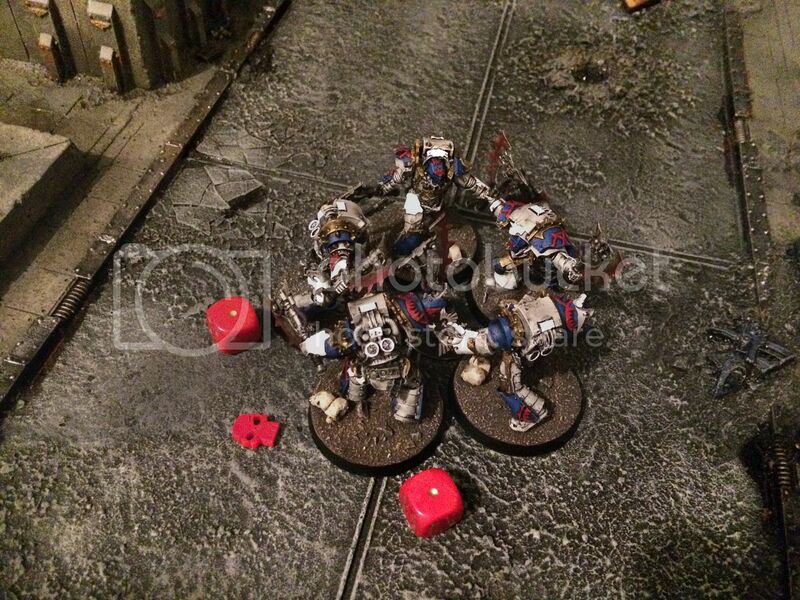 Angron cried and ordered his World Eaters to spread out through Nova Linconis and seek more loyalists to kill……. Night falls on the Golden Age of Humanity. Sons shall turn upon their father, and his worlds drown in blood. They Eye shall open, and the Galaxy will BURN. 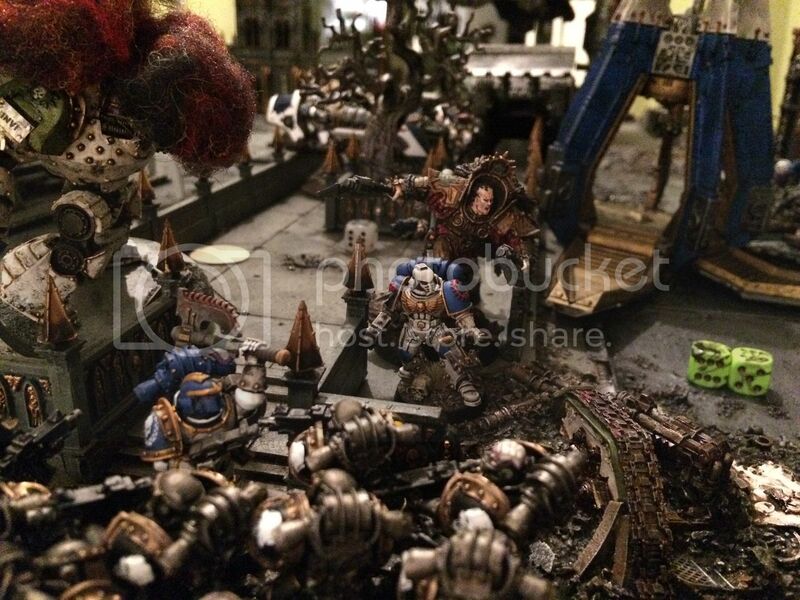 2000p of World Eaters vs 1000p of Loyalist Death Guards and 1000p of Loyalist Iron Warriors. This page was last modified on 24 November 2015, at 08:58.